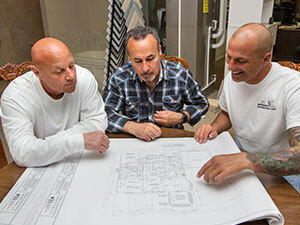 DiCioccio Construction, Ltd., has built its reputation on pride, respect and an all-out pursuit of customer satisfaction. 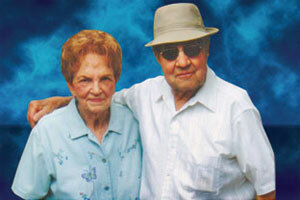 As a young boy, the builder Jim DiCioccio learned these traits from his parents Jean and Robert (Doc) DiCioccio, and over the years he hasn’t forgotten them. It is this quality of service and customer satisfaction that keeps DiCioccio Construction homes in high demand. In the early 1980s, Jim DiCioccio began remodeling homes around the Mahoning Valley. Word quickly spread about the quality of workmanship and hands-on service that Jim brought to each job. Soon thereafter, DiCioccio Construction expanded the business and started constructing new homes in both Mahoning and Trumbull counties. Next, the firm took on the challenge of constructing multi-family housing in the form of condominiums in Canfield. Ultimately, however, DiCioccio Construction found its niche in land development and planned housing communities. The company was the first builder to bring duplex-style ranch condominiums to Poland Township with its flagship 34-unit Roberto Place. The development’s name is an homage to Jim’s father, from whom he learned the practical side of business management and mechanical trades. In another first for Poland Township, DiCioccio Construction built the extremely successful 113 single-family villas at James Place. 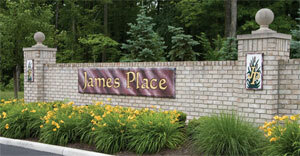 Unlike other developments in the area, James Place features amenities usually associated with a condominium complex — a beautiful lake, walking track, clubhouse/community center and pool. Now, DiCioccio Construction is bringing its expertise back to Canfield Township. Along with his personal, hands-on involvement and attention to detail, Jim’s new development — Summer Wind Private Estates — will feature all the benefits of home ownership with the convenience of a maintenance-free lifestyle. DiCioccio Construction, Ltd., is owned by Jim (Tank) DiCioccio. The company is a member of the local Home Builders Association (HBA), the National Association of Home Builders (NAHB), and the Better Business Bureau.